We’ve never had so much information available about food and health, but unfortunately much of it is damaging, unscientific and wrong. 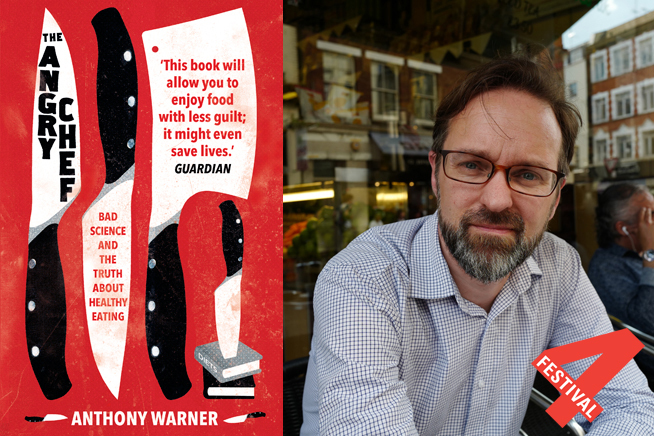 Using insights from psychiatrists, food scientists and dietitians, Anthony Warner, aka The Angry Chef exposes diet faddery and clean-eating cobblers, giving us the tools to spot pseudoscience for ourselves. This event is part of Chelmsford’s Restaurant Festival 1-10 March.